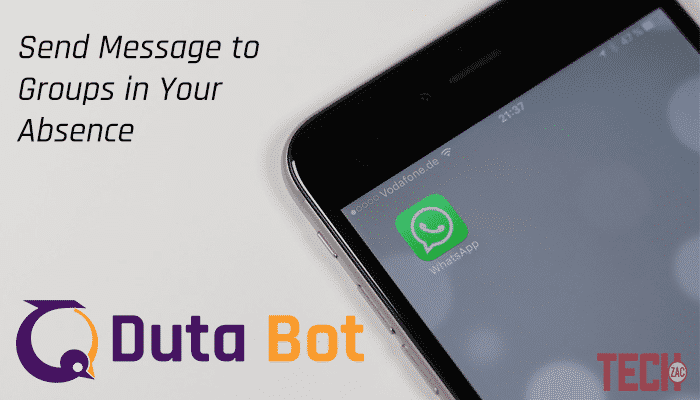 Have you ever heard about Duta WhatsApp Bot Service? If you don’t know about a bot, then let me explain you regarding this. A bot is an Internet application, also known as a web robot to perform tasks automatically over the Internet. The simple meaning of the robot is the automated machine. They are preprogrammed to perform a limited task. Many of you might know about the virtual assistant, which is also a program to perform our commands. Mainly web bots are made for fun tasks like when you ask a question it replies you. 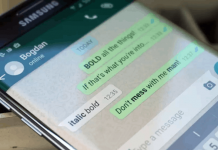 Whatsapp is the ultimate instant messaging app has a lot of features to communicate with friends and family. It allows you to create groups to start a conversion in between a group of friends. In every group, there is an admin (the manager of the group) and members. Admin has the responsibility to send messages on the daily basis to make to the group active. 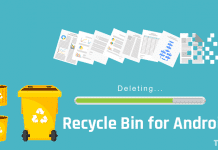 Suppose, you are busy at your work and unable to send messages; in that case, your group members might be unhappy that you created a group and not updating it regularly. Duta Whatsapp Bot Service is the solution to keep engaged to your groups. 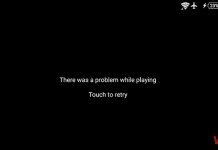 It has made by some Indian developers. 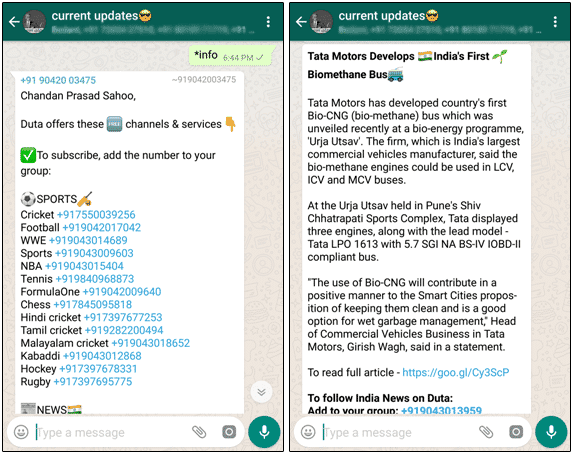 By adding a number in your group, you’ll get daily updates from various categories like latest news, sports, entertainment, devotional, finance, quizzes, and games, etc. Is not it amazing? This automatically sends messages and pictures on the daily basis. You can also control the category by simple commands. Like +jokes to activate jokes service in your group and -jokes to deactivate it. Duta is currently India’s fastest growing startup and an emerging international media company, serving millions of subscribers around the world. We deliver breaking news, up to the minute sports, the most recent entertainment news, engaging interactive services and devotional content via favorite mobile messaging apps, including WhatsApp and Telegram. We’re well financed by VCs who were first stage investors at famous brands face-book, Lyft, and Snapdeal. Our leadership team contains powerful, experienced tech entrepreneurs. Duta™ is headquartered in Silicon Valley and Chennai, together with newsrooms in the USA, India, and Spain. Duta provides so many services and all of the services are listed on their website. You just need to follow the below simple steps to successfully activate on your group. 2) Here you’ll get the complete tutorial to activate different services on your groups. 3) Just download and add this number to your Whatsapp group and you are done! This was all about Duta WhatsApp bot service. Your group members can also request a service. It is an amazing service to get messages automatically, by without managing manually. Try it today and don’t forget to share your opinions about it. This is a bot, not an app. i am getting server error when i message duta bot? any help?? If i would add these numbers to one of my whatsapp group .. do group chats would get share with this Duta ?? No. There numbers are using for bot services and they only send message to the group, not receive. Thanks for stopping by @@maitrenimishra:disqus.